There are many fence styles, but usually the components consist of 8 fence posts (generally 6 above ground and 2 buried and set in concrete), 2 X 4ּ top plates, 2 X 4 nailers, and 1 X 4 or 1 X 6 dog-ear pickets. This article deals with the style that only has pickets on one side, but you can easily adapt the general process on other double-sided types with a bit of forethought. Note: If the area you live in gets very frozen in the winter, you may need taller posts to ensure the bottoms extend the required distance below the freeze line. Always check your local building codes. 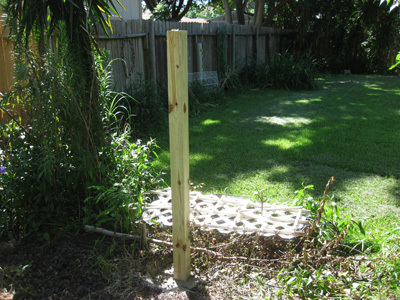 Usually, the posts are set 8 on center; this way your top plates will join up at the center of the top of your posts. The nailers are located about 1 above the soil. They may be toe-nailed between posts or installed using joist hangers. Either way, if you are repairing more than one section, snap a chalk line to line everything up properly. In most subdivisions, sections of fence will meet at a 90 degree angle. If the section you are tying into the existing section has a post intersection then the procedure is simple. But usually this is not the situation. In fact, intersections typically occur at some point between posts, so you will have to deal with an offset where the nailer is located if you are connecting to the non-picket side of the fence. In fact, there are many ways to deal with the offset between the top. The repair job depicted in this article took place after Hurricane Ike. In this case a short length of 2 X 4 stud was added to the nailer to span the difference. Having the posts in the proper place and plumb in both directions is key. 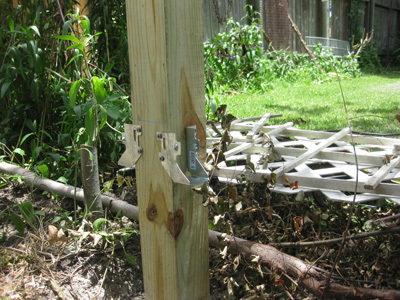 Run a tight string line along the front or back edge of the top of the existing posts for a guide. Hopefully, some of the original posts will be in place. If they are not, you will have to use the old stumps. Use a helper to locate the position using a plumb bob. Then you will have to rig a strong, tall stake to attach the string line to. Once youve got your string line secured, its simple to eyeball where you will need to dig your hole(s) hole. To be the most precise, use your plumb bob from the string down to the ground. All your posts should be of the pressure treated variety (but for the pickets you can substitute cedar). Use the appropriately coated hardware for the type of wood treatment used. Now since this is a repair job, it is not always possible to go the typical 8 between posts. This is because of the existing concrete footings from the old posts. Although you can place the first post less than or further than 8 away, closer is always better to reduce sag and add strength. 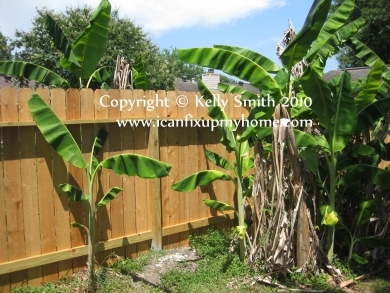 With respect to the fence repair job this article is based on, the terminating post was tied into the existing fence and shimmed out from the existing nailer using length of 2 X 4 and set on a concrete pad for support. Digging a hole under the exiting fence wasnt feasible. Mark the top of your posts so that your top plates meet in the center. Hammer 2 nails in each plate. Toe nail them for a tighter purchase. The nailer needs to fit securely between your posts. It should also be flush with the post faces on the picket side of the fence. Install your nailer oriented with the 4 side vertical. This way the wood grain is aligned so that sagging over time is minimized. You can either toe-nail it or install it using modified joist hangers (see photo above). You can see that I just bent one ear back. Next install your pickets. 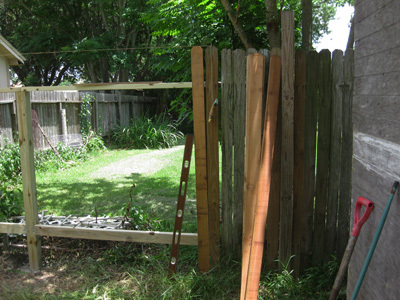 Run your string line from the top of the pickets on one fence to the top of a picket on the other fence as a height guide. Using a spacer between pickets as you nail them up is a good idea. Why? This is to allow air to flow between pickets to help from keeping the fence from being blown over during high wind conditions. True, this will compromise your privacy a bit but it is still better than a chain link fence. A gap of 1/4 to 1/2 is generally enough as long as your local building code or home neighborhood association rules are in agreement. The initial picket you nail up needs to be plumbed with a 4 level and subsequent pickets should be checked periodically.